When you think of barbecues, what springs to mind? Burgers, hotdogs, maybe some marinated chicken? Even if your intentions are good and you leaf through the recipe books for some inventive outdoor-friendly BBQ ideas, chances are the preparation and marinading time takes just a bit too long. Luckily, I was introduced to a real crowd pleaser – something that looks almost gourmet in a barbecue setting, tastes exquisite, and is surprisingly easy to prepare. Who likes squid? Because that’s what you need to start with. The bigger the easier – less prep you see. It needs to be gutted, all the gross bits taken out and then cut so it lies flat. Then score a criss-cross pattern onto it before you cook. Then, it’s simply a case of marinating said squid in garlic and lemon juice. Drizzle a bit of olive oil on just before cooking, then pop it on the barbecue. The second it touches the barbie, it’s already a winner. The garlic hits the heat and gives that oh-so-satisfying aroma. 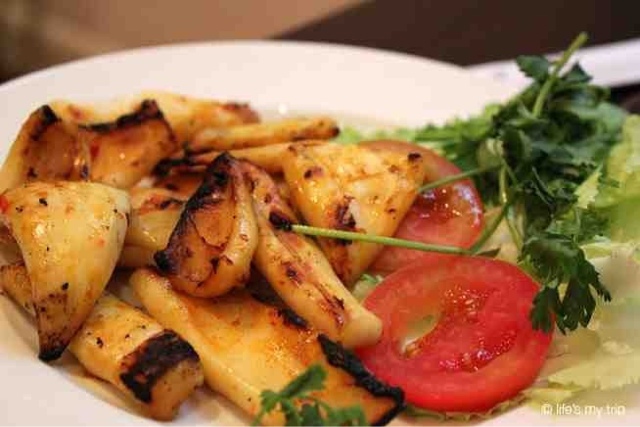 A barbecue is the perfect thing to cook squid on because you’re not risking stewing it in its own juices, and you can sear it nice and quickly on a fairly high heat. The last thing you want is that stereotypical rubbery-texture that makes most people think they hate squid! So, just a few minutes, and off it comes. Then it’s a simple case of sprinkling over some freshly chopped basil and you’re ready to go. Okay, so the preparation might take ten minutes or so, but it’s quicker to cook than a sausage, and a great treat for guests, or just a must-have for a seafood lover.